This is a short book giving you ideas, tips, and resources for sharing Jesus with your children! Looking for activities to do as a family that can also get you outside? Try some of these activities out! 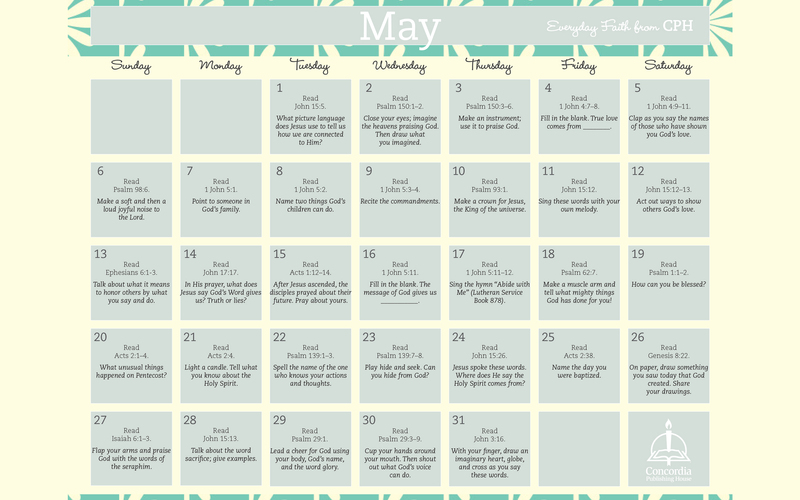 This May start off your family Bible time with a printable calendar! Each day you read 1 or 2 Bible verses and there's a short activity to go along with it! Activity pack with coloring, fill-in-the blank, and Bible verse look-up. 10 St. Patrick's day themed minute-to-win-it games to play as a family! An activity to see how many words you can come up with using the letters in "Saint Patrick's Day". A shamrock-shaped connect the dots! A 15 day Easter Bible study to do with your family! A printable Easter story book you can read and color with your family! Printable messages about Jesus to put in Easter eggs! Fun colored, printable Bible verse cards all about Easter! This is printable Easter notebook full of: puzzles, stories, coloring, word searches, mazes, and more! An easy Easter Bible reading plan to do as a family! Printable picture that used emojis and Bible verses to tell the Easter story! 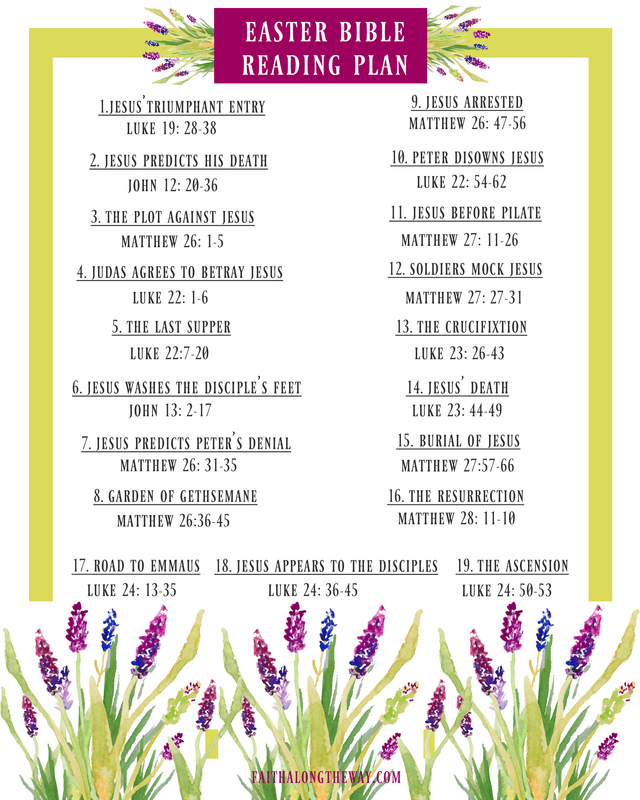 A printable pack of: puzzles, Bible verses, and images about Easter. Each jelly bean color represents a different part of the Easter story. A great way to share the Easter story and candy with others! A printable coloring page to give to your mom! Mom is a blessing coloring page. Another Mother's Day card you can color! This is a fill-in-the blank worksheet all about Mom! Another Mother's Day coloring page! Mom is a blessing coloring card. 5 funny Mother's Day cards you can give to mom!